Home - Scott Rauvola, D.D.S. We are located in the heart of San Diego next to Balboa Park and open 8:00am – 5:00pm Monday, Tuesday. Thursday, closing at 3:30pm on Wednesday and Friday. With 3 Doctors on location – we accept most insurance providers and specialize in Restorative Dentistry, but also do General, Periodontal and Emergency Services. Have a question? Please contact us today for more information about our office or your visit. From New Patient, Comprehensive, Periodic, Periodontal and Focused examinations we can help with your general dentistry needs. We provide top notch treatment of periodontal disease, and with oral inflammation. We know that mouth pain is no game. 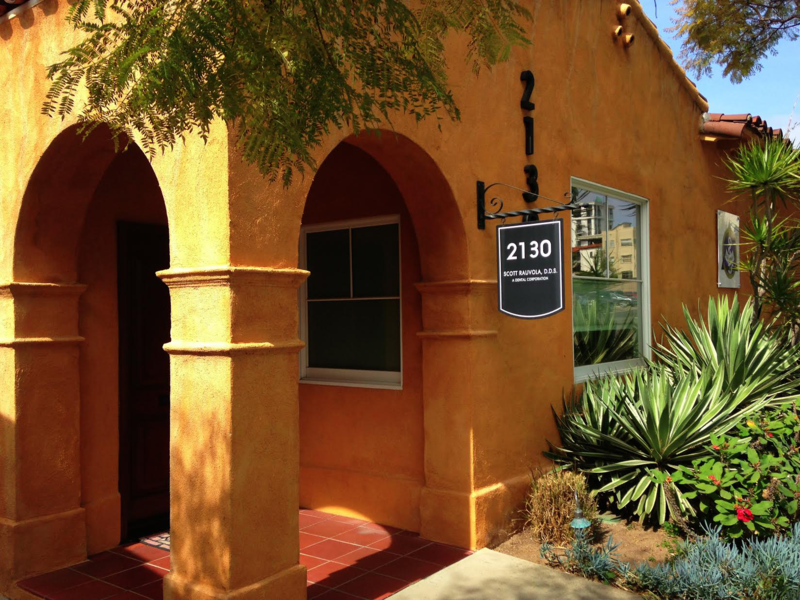 Specializing in restorative dentistry services since 1997, our office and staff have the skill and knowledge that have helped local San Diegan’s. Orthodontic treatment can help straighten the patients teeth for function and aesthetics. Contact us for an appointment with Orthodontist, Dr. Fenn. After office hours for any dental problem that requires immediate treatment in order to save a tooth, stop bleeding or alleviate pain. We’re open Monday – Friday to help answer any questions you may have about your visit. Please contact us for more information. You are the best! And so is your wonderful staff – You all keep my smile twinkling! It’s even better than having a dentist in the family. Absolutely everyone who works there is friendly, pleasant, and professional. And Dr. Rauvola is not only a highly skilled dentist, he’s an artist. I’m more than happy to endorse your work! You are an excellent professional, in both your skills and your moral values. I will always trust and appreciate you.